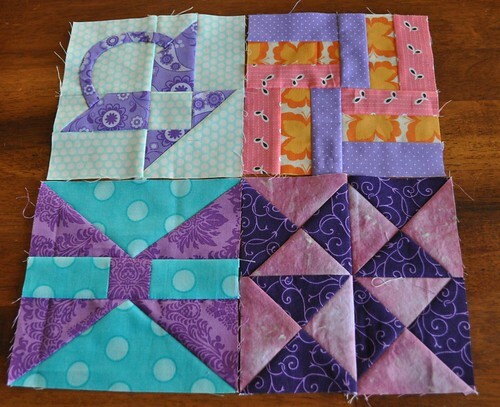 But I kept going and got all of my Punctuation blocks finished and sewn together. Blocks 3-6 of the Farmer's Wife quilt sampler. I am having fun using purple in each block, and some new fabric arrived today that is greatly increasing my purple stash. I'll show you later. And, some more blocks for my DQS project. 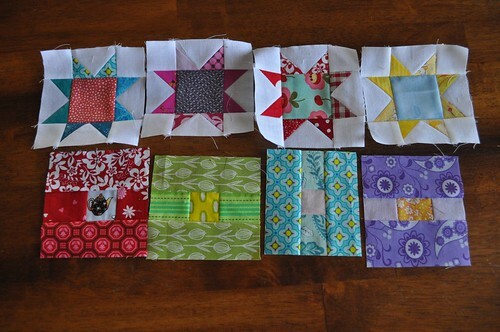 I'm going to make a little row sampler, with these stars and squares, and some of the houses I made earlier. (Oh yeah, and one more row that isn't done yet.) I hope my partner likes it! It's going to be a baby quilt for my niece who's scheduled to arrive anytime now. 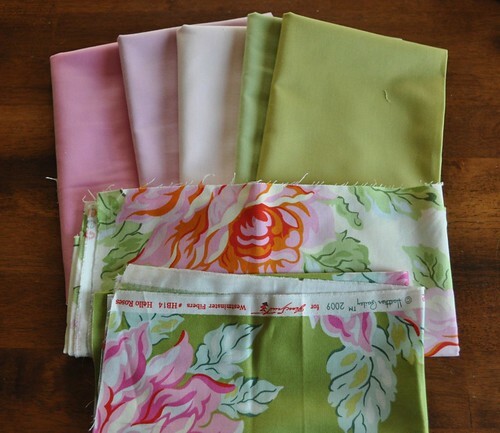 I got the solids from Tammy at Marmalade Fabrics. Turns out she's pretty much my neighbor. It was super sweet to be able to drive just a few minutes and see her cool little fabric shop last night. Thanks for letting me stop by, Tammy! Love that quilt! I've been thinking of making one in that pattern! Your Punctuation quilt is very cute Vicki! And I like your work on your DQ - you can send it to me! So many beautiful things, as always! 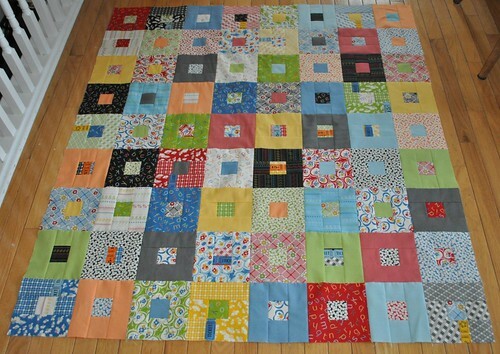 I love the happy colors in the punctuation quilt, and that baby quilt is going to be absolutely precious, I'm sure! Wow! 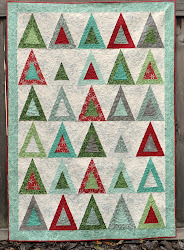 So much quilty yumminess! Love all of your projects! The punctuation quilt is awesome. Beautiful work, as always!